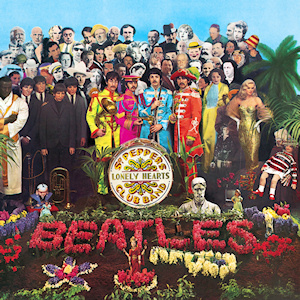 This week marks the 50th anniversary of the Beatles' release of Sgt. Pepper's Lonely Hearts Club Band. In just about every way, this album changed everything in popular music. It was the first "concept album." It was the first psychedelic album. It showed that rock music could be "serious." The Beatles gave up touring, and the craziness that followed them on the road, and locked themselves in a studio and began experimenting with sounds and new ideas. A masterpiece emerged. It didn't sound like the Beatles....it didn't sound like anything else up to that time....it was music from a different planet. And 50 years later, it still sounds that way. One hundred and thirty-seven years earlier, in 1830, a similar event occurred. A French composer named Hector Berlioz wrote a piece of music that changed everything too. Only this time, the stakes were much different...even higher. Whereas the Beatles were measured against their previous music, which was certainly wonderful (Rubber Soul, Revolver) and all other rock music made before 1967, Berlioz was composing in a world that had just been seismically transformed by a certain Ludwig Van Beethoven. Just as the Rolling Stones or the Beach Boys were left open mouthed and spellbound trying to figure out how they could possibly top Sgt. Pepper, every composer after Beethoven had his endless musical shadow with which to contend. A great quote from Johannes Brahms to this end: "You have no idea how it is for the likes of us to feel the tread of a giant like him behind us." Brahms waited many years before he published his first symphony (1876). But young Hector leaped into the post-Beethoven abyss and composed a work that sounds every bit as timeless and fresh today as it did in 1830; the Symphonie Fantastique. It was the first "programmatic" work ever published...essentially a concept album as was Sgt. Pepper. The five movements of SF tell an incredible story of love, opium induced obsession, wild fantasy, madness, and death. "Berlioz’s Symphonie Fantastique, a piece that lays legitimate claim to adjectives such as “revolutionary”, “radical” and “unprecedented” perhaps as much as, or even more than any other piece in this series so far. This jaw-dropping work was made by a 26-year-old composer who had already become a famous, indeed notorious, figure in Parisian musical life. But Hector Berlioz also happened to be one of the most brilliant writers on music; and in his letters he reveals the genesis of this diabolically and passionately inspired work." Convinced that his love is spurned, the artist poisons himself with opium. The dose of narcotic, while too weak to cause his death, plunges him into a heavy sleep accompanied by the strangest of visions. He dreams that he has killed his beloved, that he is condemned, led to the scaffold and is witnessing his own execution. The procession advances to the sound of a march that is sometimes sombre and wild, and sometimes brilliant and solemn, in which a dull sound of heavy footsteps follows without transition the loudest outbursts. There is an interesting article entitled "How Beethoven Ruined Classical Music" by Dylan Evans published June 12, 2005 in the Telegraph that makes the case that Beethoven did just that....he created music that did not leave the door open for those who followed him. It was almost like...."OK, so now what? What the hell do you expect us to do now Beethoven? How can we possibly top that?" 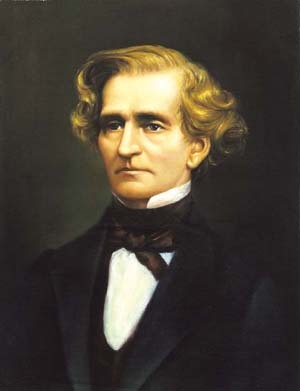 Berlioz is the one who answered that question in 1830. The Symphonie Fantastique still sounds fresh in 2017. A mere 2 1/2 years separate Beethoven's death and the SF's premiere. Two tectonic forces grinding against each other like continents. And because of Berlioz, the void between Beethoven and all others was bridged so that everyone else could follow the master. Pardon me here but I can't help myself: "It was 187 years ago today, Hector Berlioz taught the band to play." I listened to Sgt Pepper and Symphonie Fantastique this week...back-to-back. I recommend it.